After we got back from North Carolina we had a load of apples to deal with. We enjoy eating a plain Granny Smith apple just as much as the next person however, even a family our size has its limits. So what do you do with all those apples? Well, we made some apple pie filling. We even had enough left to use as garnish for the photo. 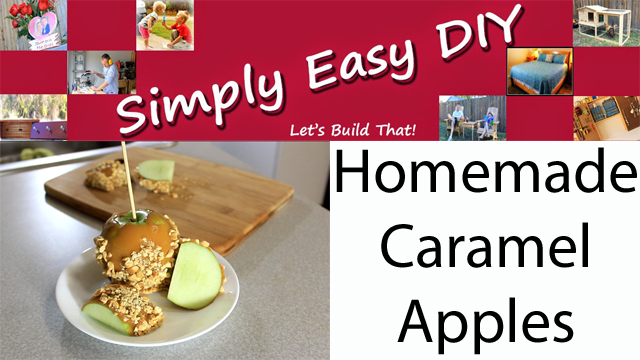 And then we made some Caramel Apples. Nothing signals the arrival of autumn like a fresh crisp and sweet caramel apple. Yeah, you could go to the store and buy some prepackaged ones. Of course you're probably buying all sorts of unidentified other things as well. Plus, it wouldn't be DIY, and as we all know, DIY is what we do here. We picked our apples fresh from Sky Top orchard so there was no wax coating on the apples. However, if you have purchased apples from the store, it is recommended that you remove the wax by dipping your apples briefly in hot water. We hope you give these a try. They're a nice (healthier) option to their store bought cousins. 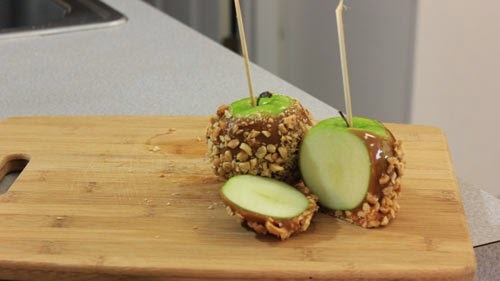 There was a recent news story of a recall on commercially produced caramel apples. You can read more about that story here. 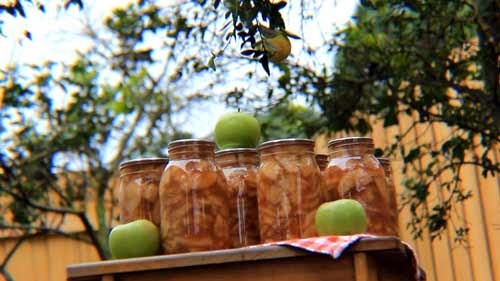 Finally, once the stores run out, (they seem to be a seasonal snack item in our local markets) you can continue to make more of them as long as your apple stockpile holds out. Don't forget that you can also customize these to your liking with other additions like chocolate and candies.